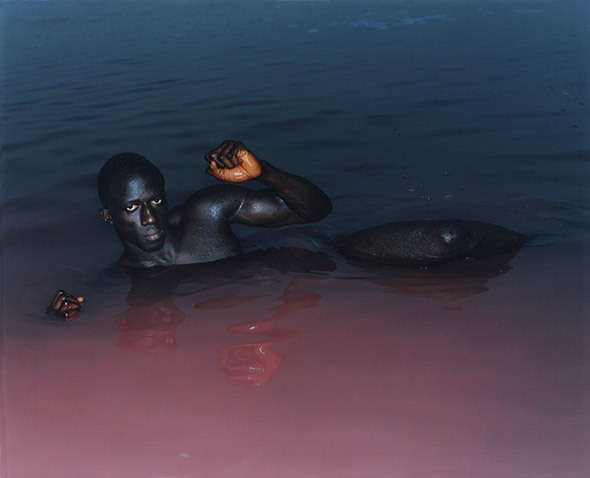 London-born photographer Harley Weir, only 27 years old, has just scored her very first solo show at Amsterdam’s prestigious photography museum FOAM. But then that’s maybe not surprising for someone who shot a fashion editorial for Vice magazine at the tender age of 17 and has been the rising darling of the fashion world ever since. Discovered by the founder of photo agency Mini Title after he stumbled on the Fine Art graduate and self-taught photographer’s Tumblr page, Weir quickly rose to stardom with a refreshingly bold and undisguised take on fashion photography and her own distinctive style that is emotive, sensual, raw, and otherworldly all at the same time. Her widely celebrated work has appeared in renowned international magazines from i-D and Another to Dazed and Vogue, she has shot campaigns for Stella McCartney and Missoni, and already had superstars such as Kendall Jenner in front of her lens. But Weir is much more than a fashion photographer; something that unmistakably shines through in her fashion work and just might explain the magnetic nature of her images as well as her remarkable success. Accordingly, the exhibition unites the artist’s famed fashion shoots with her powerful and at times politically charged personal work, which has taken her to India, Israel, Senegal, and Jordan. Recently, Weir attracted quite some attention with her haunting “Homes” series for which she depicted the temporary shelters of Calais’s refugee camps. Even when turning her lens on tough subjects, Weir’s washed-out, dreamlike images achieve a certain poetic stillness, evoking a mysterious, ethereal atmosphere. The most-used term to describe her captivating work is probably intimacy, and rightly so: Weir always comes up close, revealing an exceptional eye for detail while making barriers between people disappear. 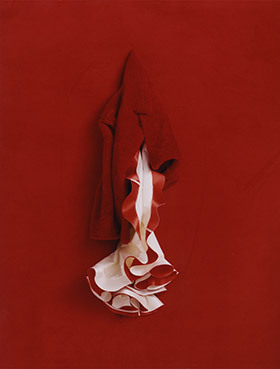 The title of the show, “Boundaries”, pays tribute to Weir’s intimate approach, which undoubtedly lies at the center of her multifaceted practice. “Boundaries”, an intriguing visual poem of sorts left open to interpretation and a fascinating glimpse into the world of one of today’s most exciting young photography talents, is on view until 19 February.